In the days leading up to last month's trade deadline, the Utah Jazz made a series of trade offers for Mike Conley of the Memphis Grizzlies. A final offer reportedly consisted of two future draft picks and two expiring contract players (Ricky Rubio and Derrick Favors), although the Grizzlies refused the deal. Despite the setback, it seems that the Jazz remain keen on Conley, with Kevin O'Connor of The Ringer reporting that the team will re-explore a move for the point guard this summer. Memphis seriously discussed sending Conley to the Jazz prior to the deadline, and those talks could pick back up in June, according to multiple front office executives. The NBA changed the draft lottery odds to limit teams’ incentive to tank, but Zion Williamson is a prospect worth tanking for. Conley has spent his entire career with the Grizzlies, playing in nearly 800 regular season games since being drafted by the team back in 2007. The 31-year-old has never made an All-Star appearance, although he has consistently put up big numbers, and is this season averaging 20.7 points and 6.7 assists per game. 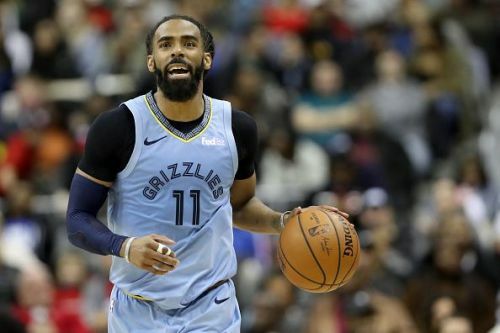 While Conley has been a fantastic servant to the Grizzlies organization, the team has failed to contend in recent years, and it appears that the franchise would benefit from a rebuild. Conley will earn $66 million over the next two seasons, and offloading his salary will allow the Grizzlies to improve other areas of the roster. Ultimately, it would make sense for Memphis to accept draft picks for their veteran, and the Jazz are also likely to benefit from Conley's arrival in the short term. Next up for the Jazz is a trip to New York as they face the Knicks. Meanwhile, the Grizzlies will next take on James Harden and the Houston Rockets.